Yesterday, the Women of the Wall (WOW), tried to pray at Jerusalem’s Western Wall but were met, instead, with a solid wall of female hatred. Thousands of ultra-Orthodox (haredi) high school girls and women cursed, jeered, and blew whistles non-stop. Eggs were thrown. I have been one of the founding mothers of this struggle which has lasted, so far, for 25 years. Therefore, I immediately read the private reports from WOW leaders, reviewed the videos posted at their Facebook page, read every piece of paper about this prayer service. One video was picked up widely. There she was, the turbaned woman with a whistle in her mouth—and she looks just like one of my dearly departed aunts! One of the jeering girls could easily pass for my first cousin’s daughter. This is a family fight and such quarrels are very hot. It is, perhaps, evil to reverse the truth—and the pro-haredi media has done just that. Instead of admitting that their rabbis sent thousands of girls to spit, curse, jeer, and blow whistles—the media describe these hooligans-upon-demand as pious girls and women, superior Jews, because they presumably mouth the psalms silently and obey their male rabbis. But they are not reciting psalms if they are cursing other worshippers or drowning out their prayer service by blowing whistles loudly and continuously. It is, perhaps, evil, to crazy-mirror your designated enemy’s “brand,” in an attempt to steal their magic and their thunder and to confuse people. Thousands of Jew-hating Islamists do just this when they doctor footage in order to claim victim status against the “Nazi, apartheid” Israelis and against “Western colonial infidels”. The group, Women for the Wall, of very recent vintage, has copied the design of the website which belongs to Women of the Wall (WOW) and has begun their own public relations campaign to oppose WOW’s goal of equality for women-only in the women’s section at the Western Wall. 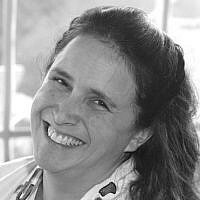 Well, there is one good thing about all of this: Formerly silenced and subordinate girls and women have been given permission—really, marching orders—by their rabbi-handlers to become public and vocal in expressing their religious beliefs; to pray together, not apart; and to act like a psychological lynch-mob against other Jewish women. As the author of Woman’s Inhumanity to Woman, I recognize “mean girls” when I see them. Clearly, girls and women have internalized the same sexist beliefs as have men; girls and women may also be hard-wired to be indirectly aggressive towards and to compete, not against men, but only against other women; women who occupy subordinate status within an enclave of fundamentalist, religious patriarchy, are routinely expected to police and monitor the behavior of other women; women in each family enforce the woman-specific codes of honor and shame. Women perform female genital mutilation, murder their daughter-in-laws for their dowries, and participate in the honor murder of their daughter or sister if either has stepped out of line, however slightly. WOW’s struggle for separate-but-equal rights at the Kotel is a public family fight. The haredi rabbis have called out their women to demoralize—not frighten–WOW. Although women may gossip and shun each other, they also crave female friendship and the approval of other women. They do not want other women to think badly of them. Thus, to be met with such prolonged hostile hatred from other women is unsettling, dispiriting, demoralizing. Who are these sisters who are filled with so much hate? What do I have in common with them? Does a religious Jewish woman chanting from a Torah or wearing a prayer shawl “provoke” this community so much that they honestly believe what they say, that we are “Nazis,” and desecrators of the faith? One WOW supporter, Dr. Ilana Rosansky, was blocked from approaching the Wall; like all WOW members, Dr. Rosansky was not even allowed into the women’s section but was kept hundreds of feet away penned in by the police, near the rest rooms. She asked a young haredi girl if she would do a “mitzvah,” a good deed, and please take her note, her prayer, on behalf of a dying friend, who was undergoing surgery that very day, and place it between the large stones. (Inserting such prayers is a common practice at the Wall. President Obama’s prayer was, unforgivably, leaked to the press). The girl refused to do so and instead mocked and cursed Dr. Rosansky. What kind of ethics and compassion has she been taught? What does WOW’s commitment to Judaism and to humanity have to do with such commanded cruelty, ruthless conformity, and utter heartlessness? I pity that girl when she stands before God and is asked about this single act of baseless hatred towards another Jew—and on the first day of the month in which Jews lost both their First and Second Temples due to the hatred of Jew against Jew. The bald-faced lies about this one, stunning, shaming, incident are incredible. The commenter who said that all the haredi girls and women prayed for this woman undergoing surgery and that of course, the girl asked to put the kvitel in the Wall for Dr. Rosansky did so—may not be easy to find. But yesterday, it was the first comment in. 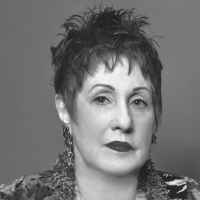 Phyllis Chesler, Ph.D is an emerita professor of Psychology and Women’s Studies and the author of 18 books, including the landmark classic “Women and Madness” (1972); “Mothers on Trial (1986); Woman’s Inhumanity to Woman” (2002), “An American Bride in Kabul (2013), and “A Politically Incorrect Feminist”(2018). 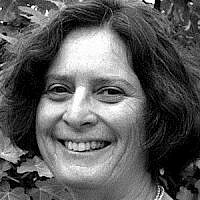 She is a co-founder of the Association for Women in Psychology (1969), the National Women’s Health Network (1974) and the International Committee for Women of the Wall (1989).